Christian Clothing is designed for believers of all types. Whether you spend every Sunday in church or choose to worship from afar, donning attire that speaks His word is a decision you’ll never regret. Always fashionable, with a strong message that never changes, we’re pleased to offer a huge selection of Christian Apparel for the entire family. Devout Christians like you know there’s nothing more rewarding than sharing a deep bond with God. Cool Christian apparel helps you express this amazing sense of inner peace in your own way. As one of the premiere Christian apparel companies, we strive to present you with products that speak His word in a manner you can relate to. Perfect for anyone who takes pride in their faith — and those who need a reminder of His love — Christian gifts are encouraging and motivational. Shop our broad selection of Christian gifts for men, women and children today, to find an item of very special significance. 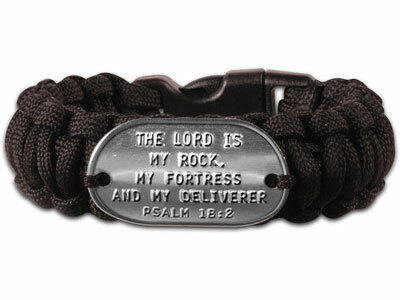 Choose from a range of categories, including Christian guitar straps, Christian hair accessories, Christian necklaces, Christian t-shirts and more to find something that speaks to you. Regardless of the occasion, you’re sure to find more than a few options when browsing our collection of Christian gifts. Take comfort in knowing you’re giving a present that can have a lasting impact on the recipient. We frequently update our product offerings, so check back each time you’re searching for Christian gifts to see what we have in stock. Enjoy a fast turnaround time, ensuring you’ll receive your order as quickly as possible. Our Jesus shirts honor Jesus Christ, who selflessly sacrificed his own life so that we can experience the freedom he came to give us. Wearing Jesus t-shirts is a great way to show that your savior is always in your heart and on your mind. As a Christian, you believe in the Father, the Son and the Holy Spirit and try to live your life according to His terms. 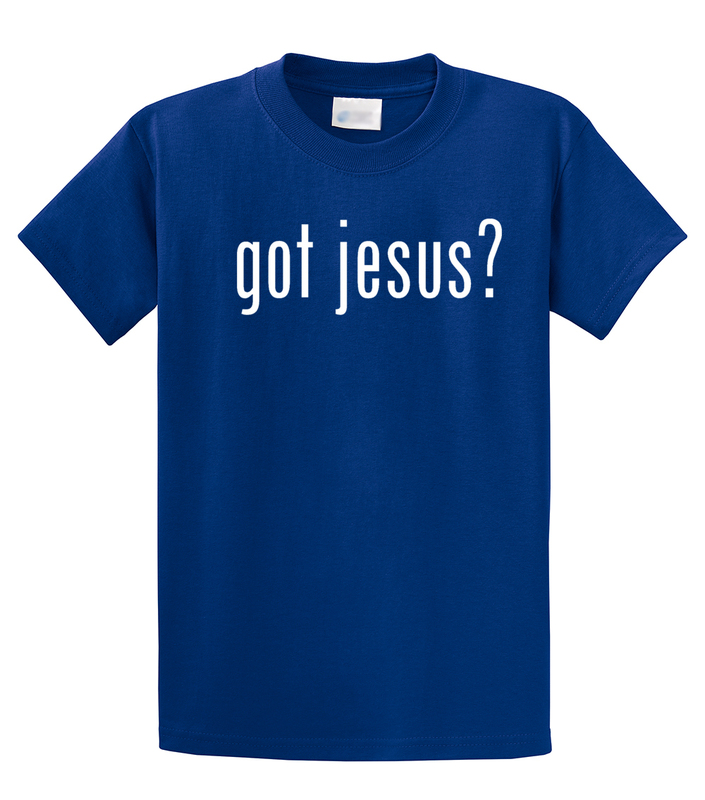 Jesus t-shirts are a way to encourage and support your faith and allow you to share the truth you've discovered with the world, in a strong and subtle message. Your devotion to Christ is what defines you. It gets you out of bed in the morning, guides you to do what is right — even when it’s the more difficult route — and allows you to feel confident in your faith. There’s no right or wrong way to express your faith in Christianity. 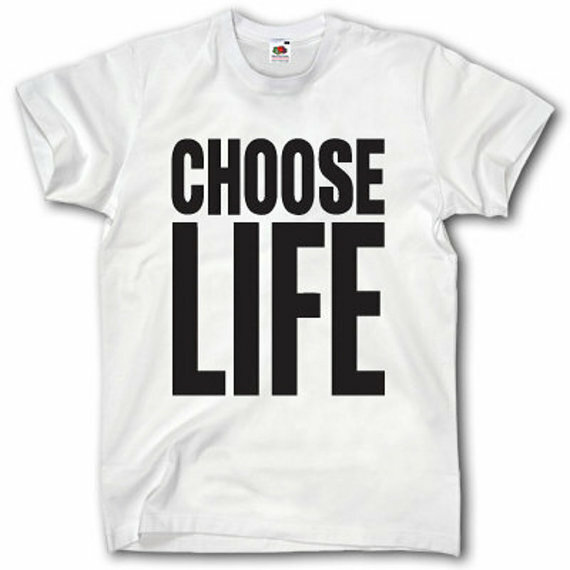 We have hundreds of religious t-shirts in stock, designed to help you intertwine your beliefs into your personal style. Your Christian values are the absolute most important thing in your life, but that doesn’t mean the you can't wear shirts that are also engaging. 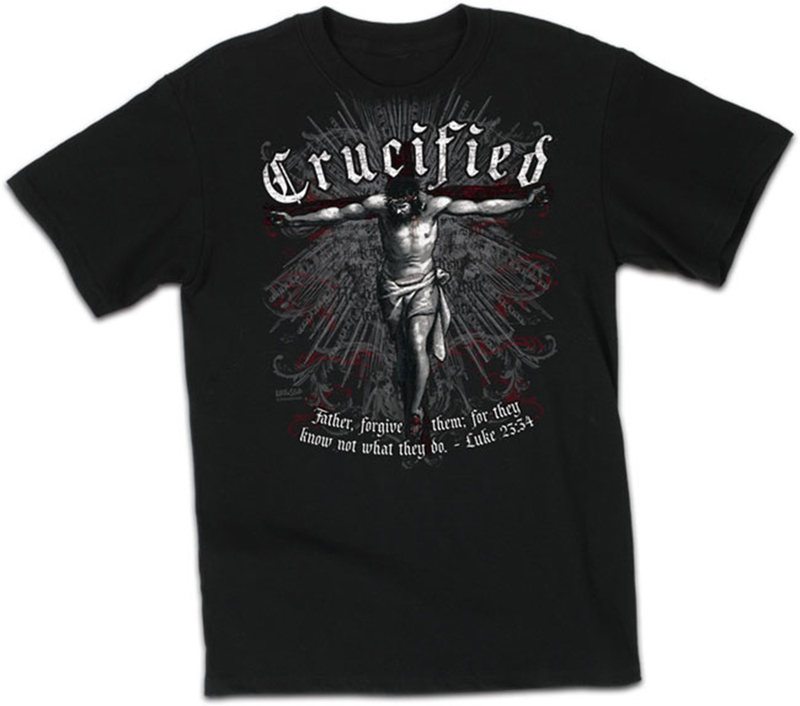 Our religious shirts are a great way to share your faith in a way thats easy for others to see. Christian or not, we've all come across a verse that inspired us and helped us get through the day. 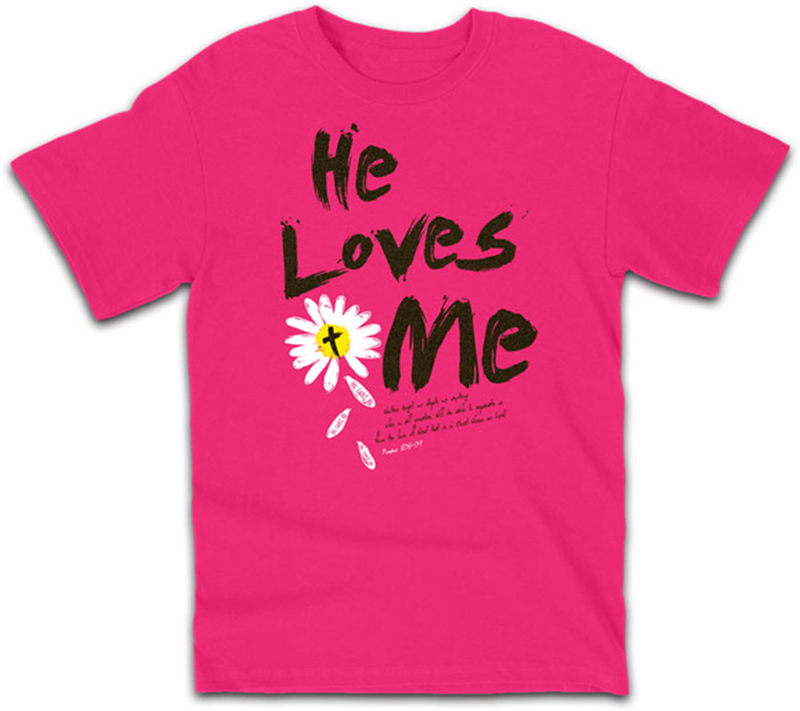 Our religious tees adorned with Bible verses are a unique way to brighten someone elses day while sharing with them the aweseome truth of God's love. Wearing a Christmas shirt that remind others why we celebrate Christmas in the first place is a beautiful way to share the greatest Christmas gift with others. You never know who you may cross paths with throughout the day who will be forever touched by the powerful message of the real Christmas story; the birth of Jesus. While we can all enjoy and celebrate Christmas with our own family traditions and culture, it's important to remember that Jesus is the reason for the season. Christmas Shirts that celebrate the birth of Jesus can be an awesome testament to your faith and a great reminder of why we celebrate Christmas every year - in honor of birth of the one and only Jesus. With the brilliant discovery of a little protein molecule called "Laminin", that organizes itself into the recognizable symbol of the Cross, Christians celebrated an incredible and phenomenal insight into how we are uniquely designed. It's amazing to think that at the most molecular level, the thing that holds everything together is a cross. Colossians 1:16 & 17 declares, "For by Him all things were created, both in the heavens and on earth...He is before all things, and in Him all things hold together. (NIV). 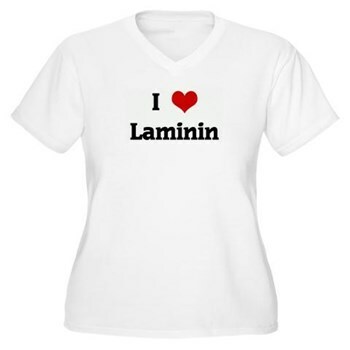 Laminin Shirts are a great way to celebrate Christ who hold all things together.